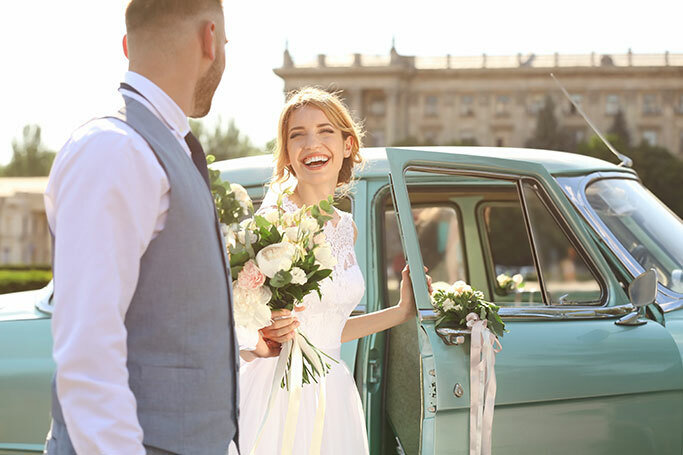 Wedding car models for different types of themes. The wedding is a grand, royal affair that entails a variety of functions, numerous big and small tasks and a hectic schedule.. 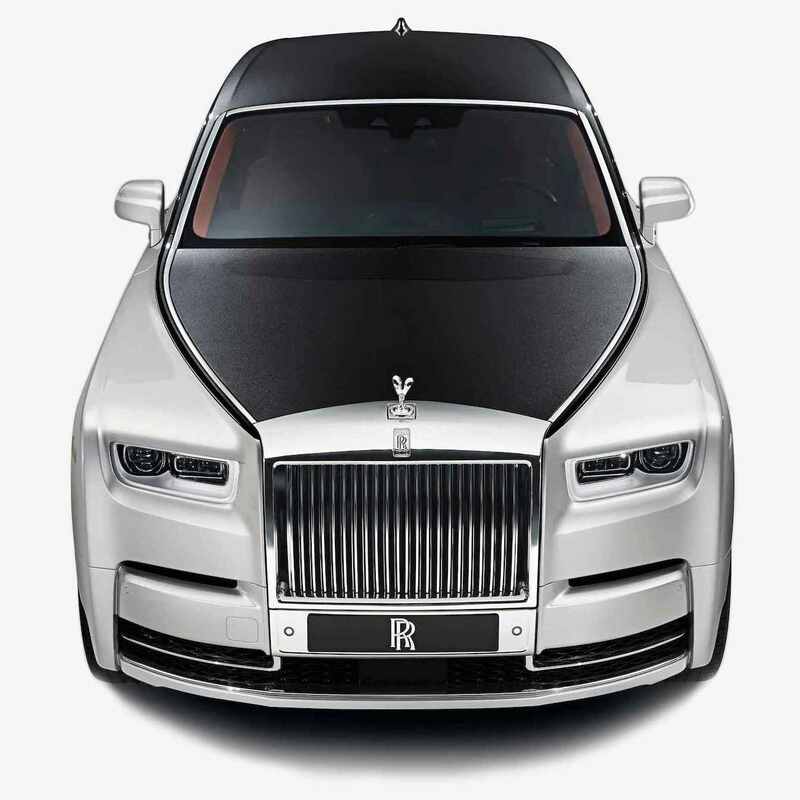 The car is exclusively designed to wield a distinct impact on its passengers, chauffeurs and onlookers alike. Its massive, wide body allows you to appreciate its beautiful design in its entirety. Its long, glitzy hood caresses the eyes while quaintly shaped headlights look like 2 beautiful, deep eyes on its face. The steering gives a sporty feel while paddle shift control gives a smooth gear change. Its heavy-duty engine produces stamina and strength, allowing it to go for a 0-60mph within 6 seconds! It would suit the couple who are fans of speed while embarking on a beautiful journey! Lovers of rare designer cars will also love it. Its exteriors have a sharp character with a fine line running from the arch of the front wheel and extending to the rear bumper. The chrome matrix grille, double tailpipes with the oval shape, it is a perfect example of sleek-meets-designer. Only the finest material goes into the seats, which are sewn by hand. The steering is not hard to handle. It has a 6.0-liter W12 engine allowing it an astonishing 800Nm torque! There is a kaleidoscope of colours and shapes to choose from. Each single component seems to be crafted tastefully and arranged carefully to offer a luxurious appeal. This powerful sedan would instantly instil a theme of urban luxury in its passengers! Its exterior presents an aerodynamic shape based on latest technologies with increased downforce due to the flat underbody. Its back window is flat and offers a wide, luxurious look to the model. The round taillights studded considerably above, on its deck ornate the car while its subtle spoiler avoids it getting too loud in the cockpit. If you want a car that perfectly fits the retro style while offering you high doses of style and attitude then you need a Pink Cadillac. They are a rare work of visual art combined with agreeable performance. The model has been a part of a popular culture tale. It was the car trusted by Singing Icon Elis and his Blue Moon boys! At those times Pink, as a standard colour, was employed only by Ford Motor Co. However, as the popular singer started using Pink, it became a cult to paint the cars in pink! Many of his fans followed suit and did the same. Hmm….Nostalgia! Why not add some nostalgia to your journey by hiring the Pink Cadillac?